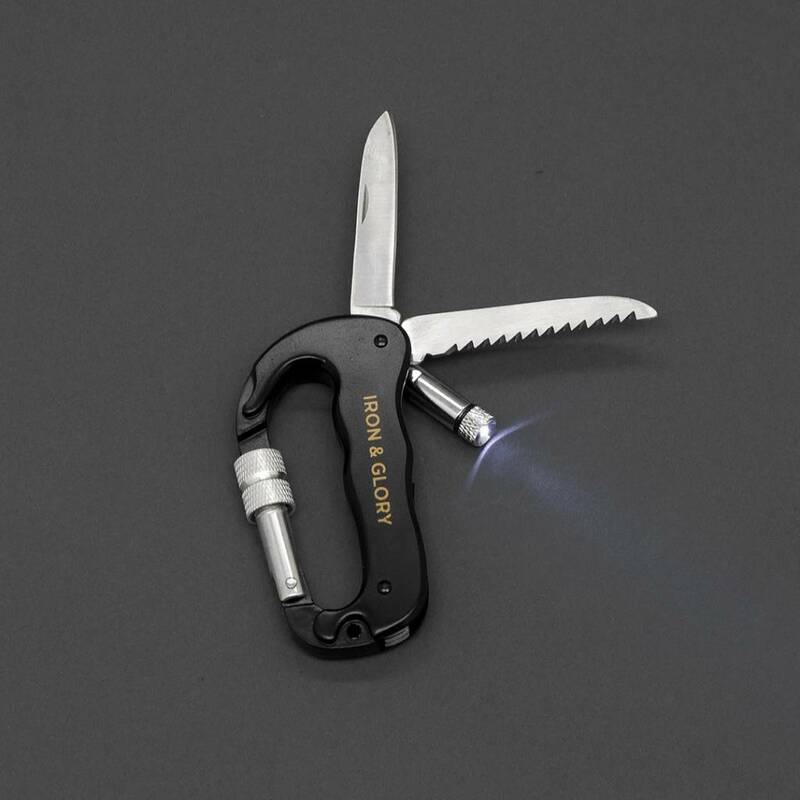 This heavy duty 4-in-1 deluxe carabiner features a 3" knife, 3" serrated saw, LED Flashlight and a locking clip to keep your belongings secure. Stainless steel & aluminum alloy. 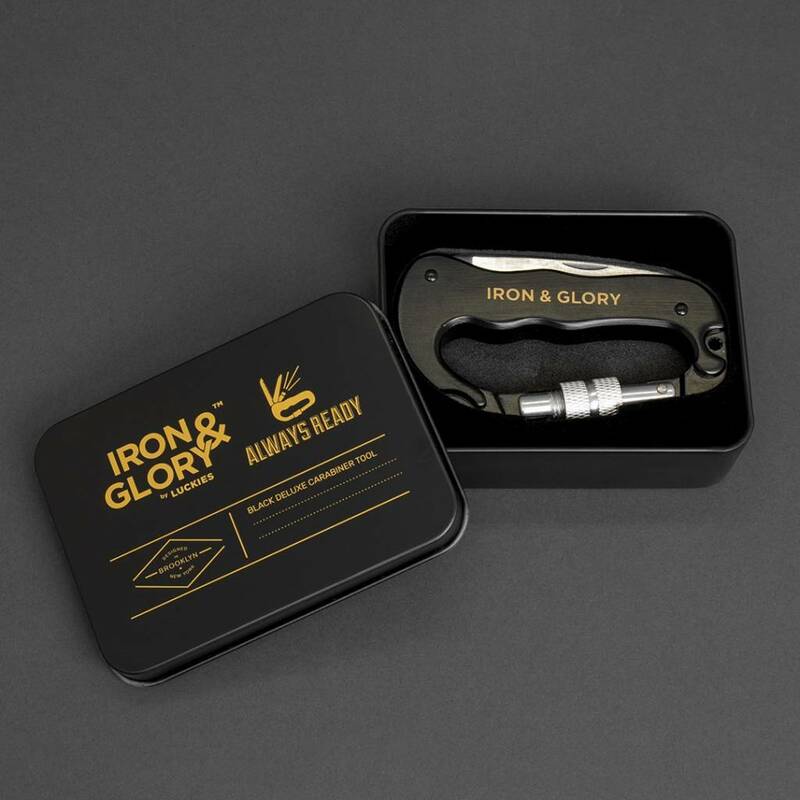 Dimensions: Weight: 3.5 oz • Length: 3.35" • Width: 1.77.” Packaged in a black metal to make a great gift. You can engrave the opposite side with your choice of text in the 1"x.5" area to the left of the LED light.